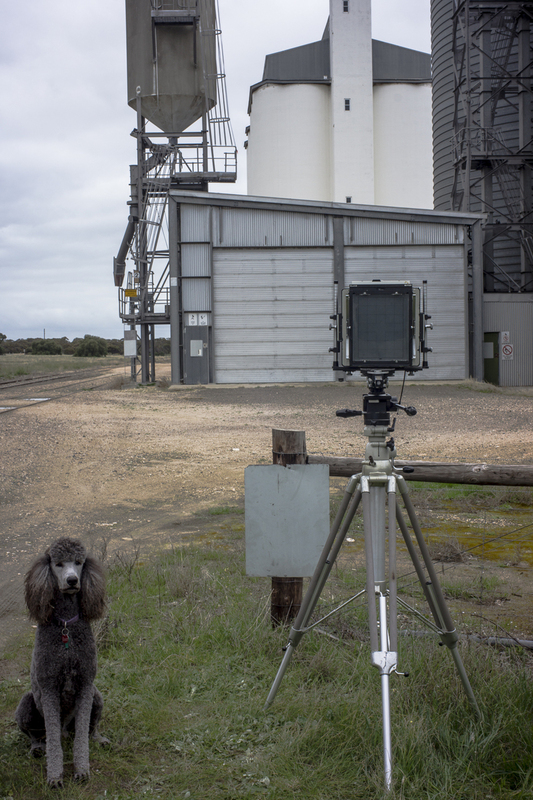 This behind the camera image of me photographjng a silo at Peake for the 15 Silos on the Mallee Highway project was made on a day trip along the Mallee Highway with Maleko. I needed some black and white mages of the silos on the Highway for the Weltraum exhibition at Magpie Springs in the 2016 Shimmer Photographic Biennale as the ones from an earlier photoshoot hadn't work out that well. The Biennale opens on Friday, September 2nd. The 8 x 10 image black and white image of the silo at Peake was not included. It is an outtake due to the the lens vignetting because raising the front standard to its limit was too extreme for the lens to cover. I need to stand further back from the silo when I return. 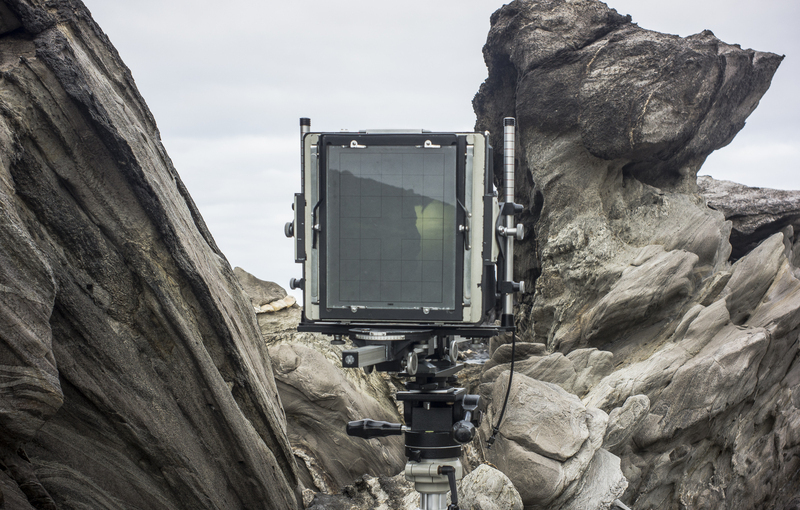 The negatives were processed at The Analogue Laboratory last year. I haven't scanned the negatives into a digital file yet. I have to find a way to overcome the Newton Rings I'm getting from the Epson flatbed scanner.